It can be argued that the player’s skill, not his gear, determines how good he can really be at any kind of game. However, it could also be said the best equipment can spell the difference between a good game and frustratingly bad one. And when it comes to multiplayer games, a good gaming microphone can instantly up your performance. Livestreamers who share their games to their followers will also benefit immensely from a high-quality gaming mic. With that being said, a good gaming mic doesn’t necessarily mean picking up a studio-level unit that will set you back $500 or more. There are gamers, in fact, who care more about what they’re hearing in-game and choose to invest instead in a gaming headset with a decent enough gaming microphone. Still, a dedicated gaming mic will undoubtedly have much better output than a built-in one. Pair it with top-caliber standalone headphones, and you’ve got a superb audio rig for your gaming console or computer. The question now is: what do you need to know when choosing a gaming microphone? A good gaming mic can help enhance your overall playing experience, not to mention add another point to your win column. Whether you’re coordinating a battle plan for a big boss fight or perhaps trash talking the other team (because who doesn’t love to gloat every now and then? ), clear, high-quality audio just makes everything smoother and better. Just imagine a scenario in a team-based first-person shooter: you’re asking your teammates to meet you at a certain spot on the map. You go to the designated area and — lo and behold — your teammates aren’t there. You get ambushed by the other team. You die. You lose. After the game, you rag on your teammates for not coming to help you, only for them to say that they couldn’t hear or understand what you were saying. They could hear the rest of the team clearly — just not you. Sound familiar? Or, say, you’re an online content creator who streams video games to review them, and share secrets, tips, and tricks to thousands of followers. Everything’s going smoothly until one of the viewers asks: What’s the weird buzzing sound in the background? But you’re already working in a soundproof gaming room so you wonder, what are they talking about? It later turns out that your mic was a little too sensitive that it was able to pick up the low hum of your air-conditioning unit. A good gaming mic eliminates problems with audio clarity, picking up and isolating your voice even as it cancels out unnecessary noise. With a good gaming mic, you ensure that whoever’s listening — whether it’s your teammates or your adoring fans — can hang on to every word clearly. A gaming microphone is an input device, so you have no control over the final output that will be released to your speakers or earphones (or of those listening to you). However, audio quality also depends on the source of the sounds, so a high-quality gaming microphone will definitely sound better than a poorly structured one. This is apart from other factors that you have to think about, like the setup of your rig. To help you decide, here are some things to consider when choosing a good gaming microphone. A good gaming microphone should be a breeze to set-up, without the need for extra hardware or software to make it work the way you want it. 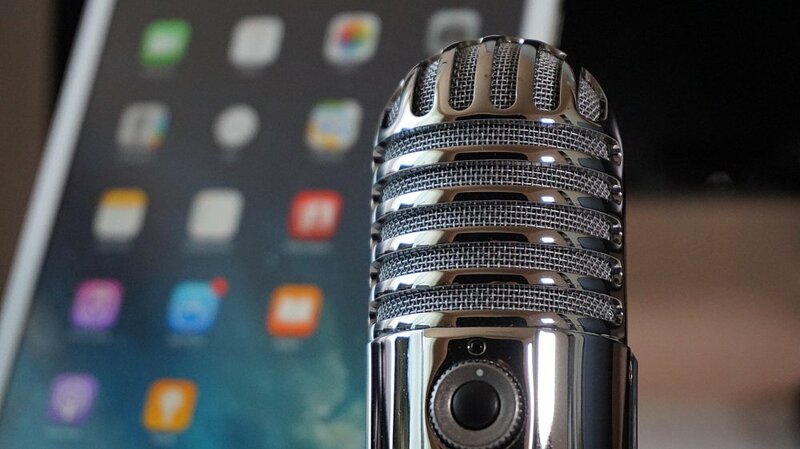 If your microphone comes with proprietary software and technology (like recording, mic patterns, and audio mixing), it should be easy to use and customize. Another thing to consider is console compatibility. The “PC Master Race” sub-culture may exist on the Internet, but if we’re going to be honest, most gamers play on multiple consoles and platforms anyway. A good gaming microphone is ideally compatible with both PC and Mac, PlayStation, and Xbox One. While you want your mic to be sensitive enough to pick up even a lower or softer voice, you don’t want it to be able to pick up every single background noise, especially if you don’t have a dedicated place to play and stream your games. Ideally, the mic should be able to pick up a well-modulated voice from six to eight inches away, without picking up static from breathing and the excess feedback from your S’s and TH’s. If you’re buying a desktop model, check if it picks up too many desk vibrations and keyboard clicks. This issue can be easily remedied by placing foam padding on the base of the stand. However, if you can find a unit that picks up the least amount of desk vibration or that can be attached to a suspended mic stand, go for it. Another factor you want to consider is latency, so you can keep track of the game’s audio levels while still being able to hear yourself speak. You want to be at the top of your game, not shouting at the top of your lungs. What you’re looking for is a gaming mic that sounds great whether it’s close to your mouth or a bit farther away. You should also ensure that your mic doesn’t get in the way of the usual operation of your gaming computer or console. If you have a big enough space, you don’t have to worry about where to place your mic without losing fidelity. However, if you have a minimal real estate on your desk, a desk microphone is likely to block some part of your screen. You can try suspended or clip-on gaming microphones in these cases, though you may end up sacrificing either some level of fidelity or experiencing too much static or feedback. The trick is in finding a place to hang or attach your mic in the correct distance so that the audio quality doesn’t suffer, while still being able to play comfortably. Admittedly, aesthetics aren’t truly a huge factor in gaming microphones. It isn’t a fashion show, after all. But some gamers take extra care in customizing their gaming rigs, and having a good-looking gaming microphone with great audio quality that matches the rest of their gear is a big plus. If you’re a streamer, the appearance of your gaming mic will also contribute to a more visually pleasing set-up when you broadcast your games and interviews. Apart from your personal preferences and gaming requirements, the budget is another factor that you need to look into. There are many options that cost around $50 to $60 that already give reasonable audio quality. If you have a bit more to spare, there are $150 to $250 gaming microphones that are targeted toward more serious gamers, podcasters, and streamers with high-quality audio and customizable options like mic patterns, equalizers, and voice presets. If you’re really looking for good gaming microphones that are built to last, you may want to consider studio-level microphones. However, you will most definitely end up spending more, as you will most likely be buying extra components like a phantom power supply, preamplifiers, extra cables, and more to maximize the experience and microphone’s features. Not to mention the time you will have to spend setting it up and adjusting the various levels to get the output you want. However, once you get it to the setup you prefer, your investment will be worth every cent and second. If you can test the gaming mic in person, do so. Better still if you can test in different environments to ensure that the quality of sound remains the same — the sensitivity and output, in particular, may greatly vary when used in a small, closed room compared to a bigger, wide-open space. Ratings and reviews are one thing, but experiencing the audio quality in person will make sure that you’re really getting the gaming mic that you want. Remember: a good gaming mic makes you sound good, and you’ll only get to know that if you’ve already heard yourself through it. Your choice of gaming microphone is highly dependent on the kinds of games you play and how often you play. If you’re more of an RTS or adventure gamer who mostly plays alone, then a headset or headphones would be a cheaper, more suitable option. But if you decide that you need a gaming microphone, remember that not everyone needs a studio-quality mic that costs hundreds of dollars. However, if you’re still using an analog mic that originally came with a decades-old computer, then you may want to upgrade to a decent gaming mic if you want your teammates to understand what you’re saying. The bottom line is that no amount of premium gaming equipment can make an amateur gamer play like a pro overnight. However, great gear most definitely makes for a great game, and that includes a top-notch audio experience with a good gaming microphone.